I don't do wild animal shots very often. Mainly because I don't have a long enough zoom to do it safely, and a lack of interest in birds (sorry +Chuq Von Rospach). So my requirements for taking animal shots are slow to non-moving subjects that don't spook easily with humans around. 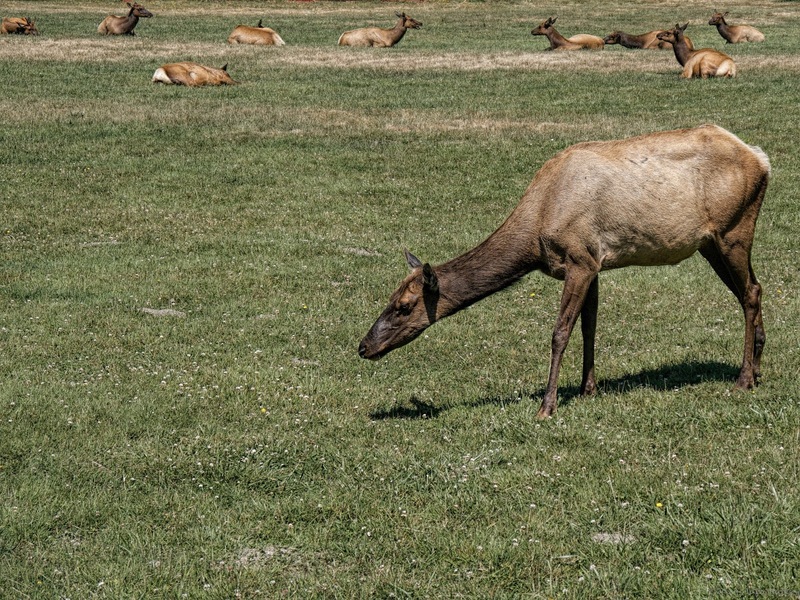 For day 4 of the nature photography challenge (shared with me by Chuq) I came across a herd of elk lounging and having lunch.